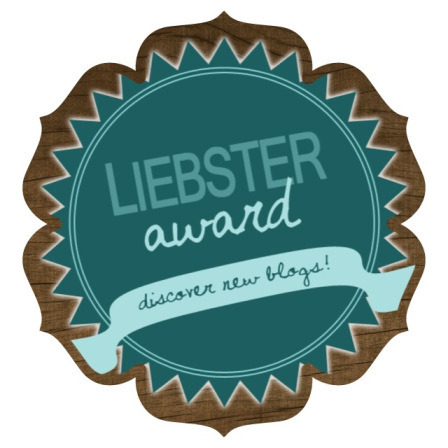 In the midst of a week filled with too many hours at my computer doing translations, I was pleasantly surprised to be nominated for the Liebster Award! Sincere thanks to A Photographic Experiment for nominating me. Check out some breathtaking photography on that blog here. My first thought what, Liebester is German, but what does it mean? Apparently, it has several definitions: dearest, sweetest, kindest, nicest, beloved, lovely, kind, pleasant, valued, cute, endearing, welcome, sweetheart and even boyfriend. Nominate at least 3 blogs which you believe are worthy of the award. Create a new list of questions for those bloggers to answer. Inform those people that you nominated them for the Liebster award and provide a link for them to your post so that they can learn about it. Tea (especially lemon grass, hibiscus and black tea with cinnamon and cloves), but there is nothing like freshly brewed coffee, especially when I need to concentrate. Yes, Toby, an adopted 7-year-old Husky/Border Collie cross. Unfortunately, I am now living on another continent from him, but my parents are happy to take care of him and enjoy his loyal company and energy. I love spicy authentic ethnic dishes: Mexican (with fresh tortillas and black beans, por favor), Peruvian (ceviche, ají de gallina…but whatever it is, with lots of ají chile or huacatay sauce) and Indian (bring on the spicy curry and chick peas). I also have a weakness for dark chocolate. Brazil, to finally put my Brazilian Portuguese into practice with Brazilians I have met in my travels, while hopefully exploring their fascinating country with them. I have long enjoyed playing the violin. I started with classical music (parts of the Suzuki method) and grew up playing in many orchestras. Since finishing high school have wandered into the world of (North American-style) folk music with various singer-song writers who let me create my own parts, and I love it! Without second thought, summer: time to relax, read, go to the beach, have family reunions, go camping, enjoy BBQ dinners outside until dark, and take afternoon naps after staying up late watching the stars. Depending on my mood: folk, Indie, Latin (salsa, ballads, tango), jazz, classical, light rock/pop, instrumental Andean music (with panflute, zampoña and quena) and instrumental music with the sitar. What is/was your favourite cartoon? The Looney Tunes: Wile E. Coyote and Road Runner, Sylvester and Tweety and Bugs Bunny! What type of literature do you like best? Historical fiction; I was probably the only kid at my school who had no interest in reading Harry Potter as I was busy reading books about life on cotton plantations in the southern U.S.A. or life in Europe during WWII. Meryl Streep because of her admirable ability to truly put herself in the shoes of the character she is playing, including imitating accents and dialects. And unlike many Hollywood stars, she seems to manage her personal and professional lives well. If you could go back in time for a day, would you do it and where would you go? For sure! I would love to go to an ancient civilization, perhaps to the Mayan civilization of Palenque (in the southeastern Mexican state of Chiapas) in the 7th century, when it is believed to have been thriving. When I was a toddler I always used my left hand, taking after my mother. However, my parents did not want me to have the difficulties my mother had experienced when learning new skills, so they would put things in my right hand until I eventually used it without second thought. Unfortunately, I am by no means ambidextrous. I did gymnastics as a child and could ‘walk’ on my hands in a handstand position across the whole width of the ‘floor’ exercise (almost 40ft. or 12m), but I gave it up at the age of nine to focus on the violin. I know how to make a delicious banana bread. I love the colour turquoise because it reminds me of the oceans of my birthplace: Bermuda. I can easily spend an hour or more exploring the world on Google Maps. I would love to try surfing one day. It has been a dream since I was a girl addicted to boogie boarding, even a few days prior to the arrival of a tropical storm or hurricane (although luckily the waves in Bermuda are not very big compared to those in other places as the islands are surrounded by a natural barrier of coral reefs). I love hibiscus, bougainvillea, lily, frangipani, freesia and gladiola flowers. When I was 12 years old, I organized a petition with a friend; we collected 300 signatures and sent them to the Thai government to encourage them to create better laws for the humane treatment of elephants used in the tourist industry. We never received a reply, but we learned a lot throughout the whole process. I have never enjoyed acting, but I have a great respect for amateur and professional actors and actresses and love going to small or large-scale productions. My agenda is within reach almost 24/7; to-do lists are the most effective way to make sure I complete tasks. From the place where you most often sit to write blog posts, what can you see? What do you wish you could see? Name an author whose works you have been enjoying in the past days or weeks. List a language you would love to learn (and if you have tried to do so already). What is a food you would like to try? Which is your favourite: a sunrise, sunset or starry night? List one way in which you would like to change the world for the better. Describe you favourite park and why you like it. What is your favourite instrument to listen to (or play, if you are a musician)? What is the most touching gift you have ever received (it certainly doesn’t have to be the most expensive one)? When was the last time you took public transportation? What type was it? When your mind is filled with things to get done and deadlines, what do you do to de-stress? Thanks so much for nominating me–I am honored. But just don’t think that I can take on one more thing at this time; that is how crazy my days have been lately. But I really appreciate your nomination and also enjoyed reading your answers. You are most welcome! Your photos are stunning. Whenever you have the first writing your post is fine, there is no rush!